Ever Wondered What Islam Has to Say About Waste and Environmental Sustainability? When it comes to the topic of waste, there’s one thing for sure: Islam isn’t indifferent. The concept of waste (Israaf) comes up considerably in the Quran and there are no blurred lines. It’s crystal clear: it’s never excused. On a religious and spiritual level we are encouraged to use only what we need, not give into gluttony and to take care of our home. Many environmentalists such as writer and activist Naomi Klein argue that our economic system is at odds with the well-being of the planet. Under our current capitalist and materialistic models, the Earth’s resources are used to no end. This shows that our role and responsibility as Muslims and as citizens on this beautiful planet is very clear. But if you’re wondering as to how serious the issue of waste is, then keep reading. One of our biggest environmental issues is how much we consume, and the more we consume, the more waste we produce. 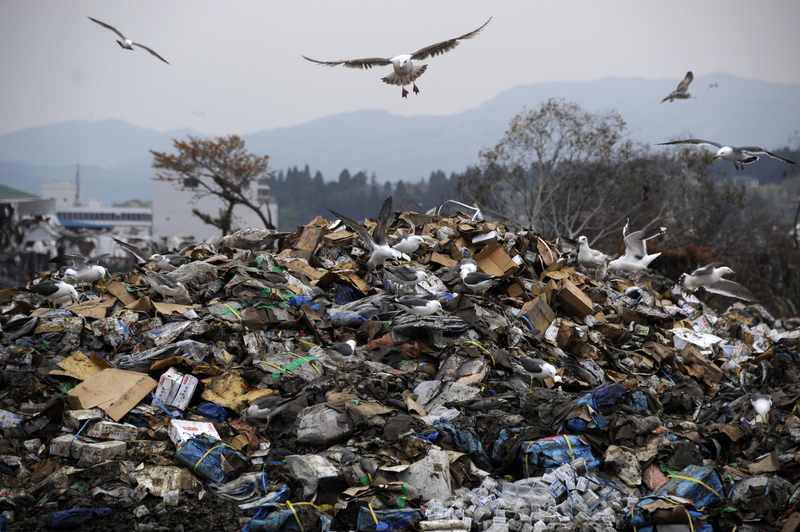 Let’s talk numbers: every year, 1.3 billion tons of waste are produced worldwide. That number is expected to skyrocket to 4 billion by 2100. The average American produces 4.4 pounds of trash daily! Have you ever thought about where your trash ends up after it’s picked up? Just because we don’t see it, it doesn’t mean it’s not there. We have to remember that waste doesn’t always translate into that stinky trash bin. The way we consume through living, eating, dressing and traveling – all aspects of our lives – can contribute to a wasteful lifestyle. If we want to be mindful of our planet and our role as Muslims, then we need to get this conversation going. We need to think about the lifestyle choices we make and how they impact our planet. We deleted 4 spam messages. Something to think about as well when we purchase halal meat, as the ethical raising of animals really must include environmental sustainability. Where I live there is an interesting intersection of environmentally-conscious non-Muslims who shop at halal butcher shops alongside Muslims who are environmentally conscious and/or concerned about the religious requirements of halal meat (the “and/or” is important; of course we can be both religious and environmentalists, as this article points out!) Anyways, in my area I know of some halal butcher shops that make a point of carrying only locally-produced, ethically-raised meat from free-range animals. These butcher shops’ missions are to provide both the religious requirements of halal, and the environmental requirements of sustainable farming. It makes for a great mix of customers in the shop, too; we can all learn from each other. No such thing as ethical halal meat. What’s the matter with you? Has your light completely gone out? Depressing. I would go to a shop like that. I tend to eat mostly vegetarian, because ethical, local meat is expensive. It is expensive. We end up buying less and, like you, eating a basically vegetarian diet. Worth it, I think.